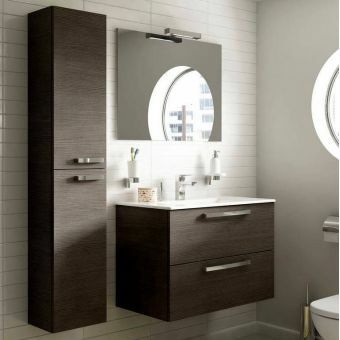 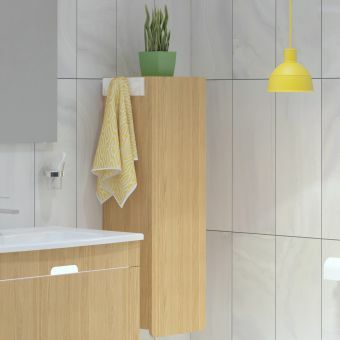 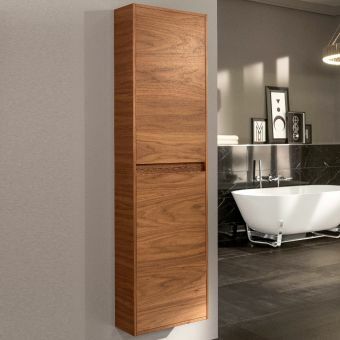 The VitrA Frame furniture range has a selection of 3 different tall units with various storage solutions to suit every bathroom and different family requirements. 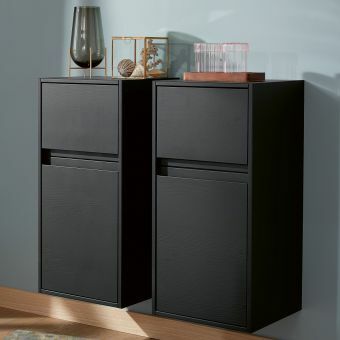 This model is the tall unit with bottom drawer, similar to the tall unit with an open box it has 3 internal shelves in the top cupboard section, with left or right-hand door hinges. 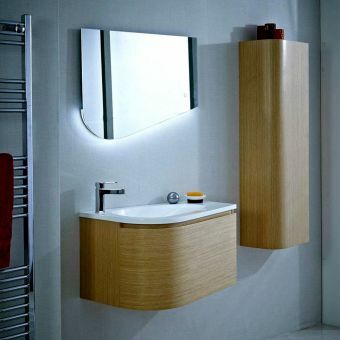 The section below houses a soft closing drawer on lovely smooth rolling hinges. 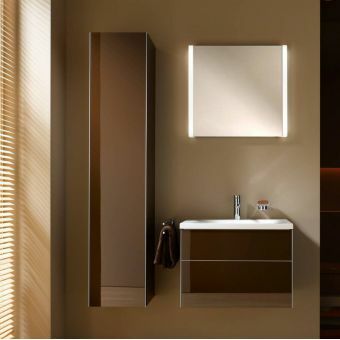 The drawer has fully extendable runners, meaning it opens right out so you can reach every part of the drawer easily. 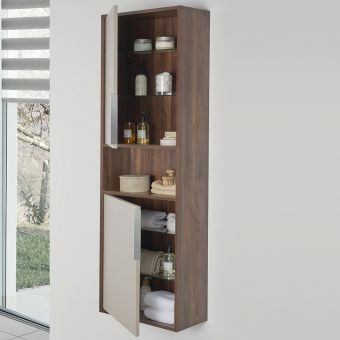 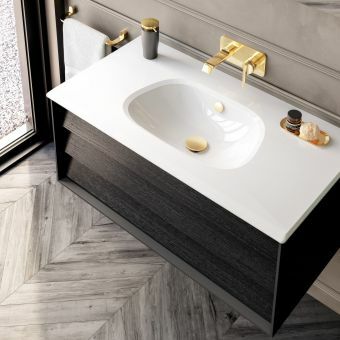 This has the function of a separate storage area for items such as bathroom toiletries reading or cleaning materials that can be hidden out of sight with a simple push of the slow close drawer front. 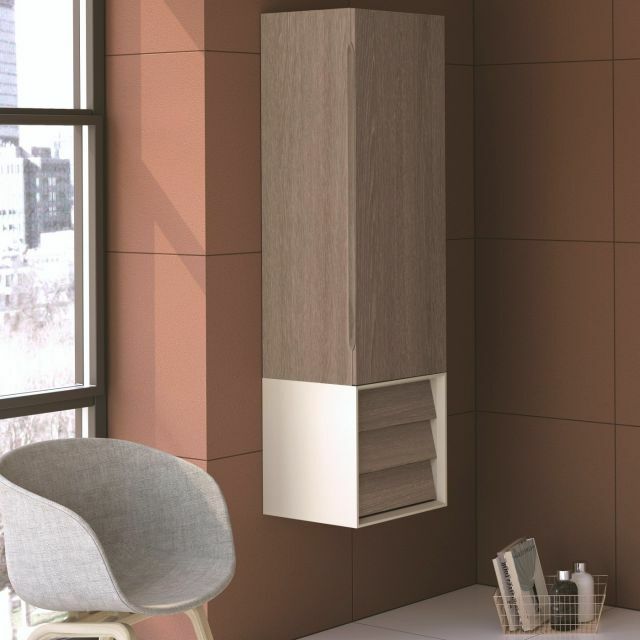 The drawer front is finished in a wonderful oak in 3 colourways, with its matching carcass in either matt white matt black or matt taupe. 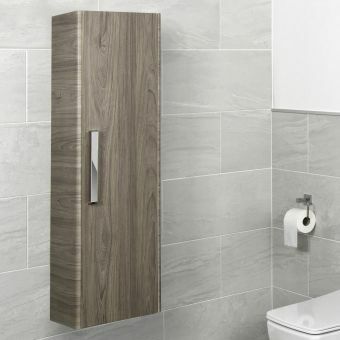 You can pair the VitrA Frame tall units with other pieces from the Frame range to create a really interesting and creative combination of storage units for a bespoke bathroom solution, such as the open unit and open unit with shelf which can be installed alongside the vanity units or tall units for a whole new look and extra storage capacity!